Buying a health product from a major high street store such as Boots the Chemist does not present any real risk. A high majority of products that are stocked by retailers such as Boots are tested for safety and effect – with higher emphasis placed on safety. Boots stock and supply some of the best of breed health products as well as products under their own banner or own Boots Brand. The Boots Diet Aid being one such product. 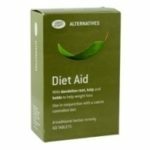 A diet product or weight loss product that offers a supplement that is recommended to taken in conjunction with a calorie controlled diet or healthy eating plan. Not overflowing with ingredients and difficult to excess exactly which diet pill category to place. Should not cause side effects although it is advised against if any blood thinning agents such as Warfarin or Aspirin are regularly taken. Boots do not make outrageous weight loss claims nor do they provide any specific timescales unlike some diet pills and weight loss products currently en vogue. The formula is very gentle and does rely on a diuretic effect – it could be argued that drinking more fluid could have the same desired weight loss effect. Not the most potent of formula’s but certainly one of the cheapest. Currently under £5.00 for a single packet. Your expectation should be low if using this product! Can be purchases online at Boots or visiting one of their high street shops. Boots have range of own brand diet pills that are manufactured by their own in house team of chemists. 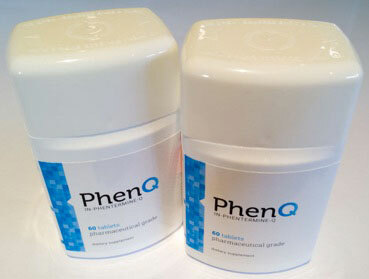 PhenQ can suppress appetite, burn fat and also stope fat creation from food consumed.